If you are a parent you will know that there is nothing more important than the health and well-being of your children, and of course the web is littered with great resources to help you keep them happy and healthy. 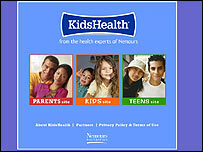 What I like about KidsHealth is that it is split from the very start into three very distinct sections - For Parents, For Kids, for Teens, addressing each audience in a style and language that is wholly appropriate. Laid out in a magazine-style, each section is packed full of articles and features. Heat sickness and bullying are dealt with in the parenting section, and bike safety and weight issues are addressed for teens. The site also loads nice and fast, which is always the sign of good programming when you are looking at a graphics driven website like this. As well as all the advice, there are recipes and activities your kids and teens can try for themselves, which is ideal for keeping them occupied during the school holidays. And The Games Closet in the Kids' section has some great educational games and movies geared towards teaching them more about their own health needs. Robotic dogs and cats were the new craze a few years ago, swiftly followed up by little virtual pets that you keep inside your gaming console. But now the world of designer pets just got even weirder. 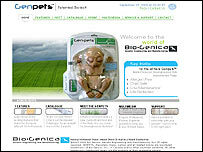 Genpets.com is a website where you can read all about these genetically produced playthings. They come in a box, are allergen-free, kid safe, and they come in seven personality types. Before you all start rushing out to buy one, this is just a joke website. There is nothing real about the concept of scientifically developed creatures that come in a shrink-wrapped box. But it is really well put together and wholly believable, and makes a great joke if you want to forward the URL to some of your more gullible friends. Just do not tell them I told you to do so. Finally, a brilliant concept that plays on the idea that the human race is subconsciously connected through one global pool of thought. 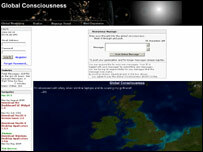 On opening the page of Global Consciousness you will have to wait for the map to load and then you will begin to see the viewpoint moving about the globe until it centres on a pulsing circle. The text message displayed on the screen at this moment has been written by a person sitting somewhere under that dot. I could sit and watch the thoughts of the world unfold for hours, but you can also add your own to the mix. Just type a thought in the box provided and click to send anonymously. If you register, your name will be added to your thought, and you can add more than the one an hour you are restricted to as anonymous. There is quite a bit more to explore on this site, so do have a browse. Also, please bear in mind that this is an unmoderated process, so the usual caveats about some people not playing the game nicely apply.